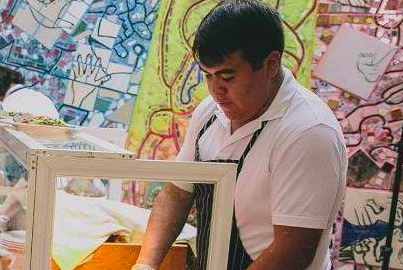 The young founder of El Compadre, a recently opened offshoot of the critically acclaimed South Philly Barbacoa, tragically passed away Wednesday at the age of 23, family members shared on Facebook. Isaias Berriozabal-Martinez, son of South Philly Barbacoa owners Christina Martinez and Benjamin Miller, died at his parents' home Wednesday morning of causes that have yet to be determined. Last October, Berriozabal-Martinez opened El Compadre at 1149 S. 9th Street in what was celebrated as a revival of South Philly Barbacoa's in-demand torta catering business. He had been a fixture at South Philly Barbacoa and had saved up enough money to run El Compadre during the three years since he immigrated to the United States to join Miller and Martinez. Like his mother, Berriozabal-Martinez was an undocumented Mexican immigrant who braved a dangerous trek to the United States from his hometown of Capulhuac. El Compadre's menu of tortas was inspired by the local culinary scene of his hometown and neighboring Toluca. Miller and Martinez have been vocal advocates for the rights of undocumented workers in the United States, hosting workshops and film screenings to serve South Philly Barbacoa's patrons, many of whom hail from Mexico and ritually eat at the restaurant on weekends. South Philly Barbacoa announced on Facebook that it will hold nine nights of vigils at the restaurant.